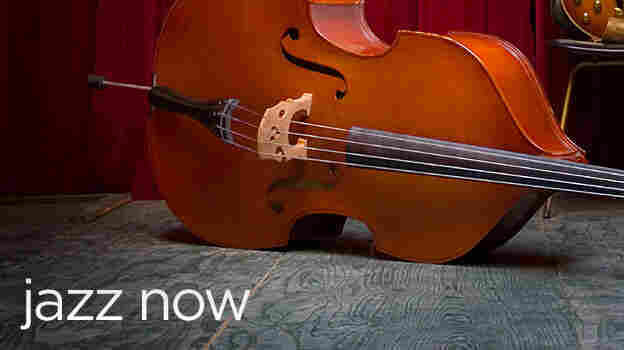 Jazz Now: Introducing Music Of The Present Moment : A Blog Supreme How would you introduce a new listener to the jazz of today? A Blog Supreme asks seven young jazz online entrepreneurs — and some of its young staff writers — how they would do it, five albums at a time. Earlier this year, we posted a fun jazz feature called "The First Five: One Man's Introduction To Jazz." Long-time NPR Arts editor Tom Cole recalled walking into a Washington, D.C. area record store decades ago and telling a clerk that he wanted to get into jazz. So the staffer, who went by the name TP, picked out five great discs -- among them offerings from Charles Mingus, the Bird and Diz LP, and Eric Dolphy (featuring Booker Little) -- and Cole was hooked. I love Dolphy, Mingus, Coltrane, Miles as well. But I find it discouraging that any discussions of "jazz" ... fail to mention recordings made in the last 30 years. With that in mind, I've chosen titles which fit with the ideals expressed in this excellent little piece, and which have been released in this millennium. He then submitted a list of 5 albums of recent vintage that he would recommend to people as a TP-like introduction to improvised music of today. Which got me thinking: hey, we should do that too. Originally, I was hoping to start an unofficial "albums of the decade" thread, seeing as how the decade was winding to a close. But then the NEA survey about audience participation in the arts came out, and caused a hubbub in the jazz world about supposedly declining audiences. And whatever you feel about that set of data, we can all agree that jazz absolutely needs to find new audiences -- especially young new audiences -- in new ways. So I reformulated this project a little bit. The idea has become: name five albums you would recommend to somebody looking to get into modern jazz -- within the last 10 or so years, with an emphasis on the present moment (considered broadly). What's some music that's uncompromisingly musical, but also perfect for those open-eared listeners who aren't hopeless jazz nerds? Hopefully, it's a bit more heartfelt than just the "top albums of the current era" discussion: this question not only addresses the root of jazz's supposed crisis, but also comes from a slightly more personal space. See, I asked for help. As if to illustrate the irrepressibility of jazz, young proprietors of interesting jazz Web sites seem to be proliferating at this very moment in time. So I asked seven of them to participate in the project. They come from AccuJazz, Search and Restore, Nextbop, Lubricity and RVAJazz: and like me, they're all 24 or under. I also enlisted Lars Gotrich and Mike Katzif from the A Blog Supreme/NPR Music team to contribute -- they're 26 and 27, respectively. And Josh Jackson of WBGO has a few years on all of us -- but he lives, breathes and broadcasts this stuff. I realize that, as Josh Jackson reminds me, that nothing is a substitute for live music. It's difficult, if not impossible, to be into this improvised, occasionally heady stuff if you don't ever see it executed live. Many of our contributors know this well: they even chronicle live music in their communities. But this is a discussion we want many people to participate in -- including you. Records, among their other unique virtues, allow us to do this. Please: if you're so inspired, write about the five albums you'd pick. Send us comments here, or at any of the other posts in this series. I'll be reading all of them. And if you have your own take on this that you want to write about at length about at your own blog or Web site, let me know and I'll link to it. See, I'm convinced that the issue with modern jazz is exposure. People don't hear interesting new jazz because they don't hear about it in the same breath with other forms of music. This here is just a small step in growing the audience, but potentially a very important one. How should we get more people into the jazz that happens today? Get some young people who know what's hip to play them some music, maybe? That's one part of it, anyway. Which five albums would you pick to get an open-minded listener into the jazz of today? Let us know: leave us a comment, or write about it on your own blog -- and let us know where to find it.